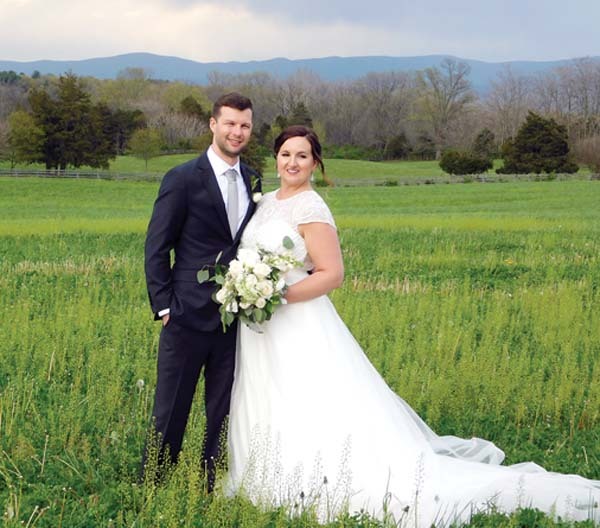 Jacqueline Knight and Todd Wilt, both of Columbia, S.C., were married on April 28 at The Columns at Six Penny Farm, McGaheysville, Va., in the Shenandoah Valley by Pastor Tim Cole. The bride is the daughter of John and Terry Knight of Bridgewater, Va., and the granddaughter of John Knight, who provided an Irish wedding blessing. The groom is the son of John and Jean Wilt of Danville, Va. Wilt was born and raised on Maui and attended St. Anthony grade school. The bride was escorted by John Knight and given in marriage by John and Terry Knight. Maid of honor was Charlotte Will. Matron of honor was Katie Sekely. Bridesmaids were Lindsey Harrington and Helen Jaques. Best man was Brandon Floyd. Groomsmen were Michael Broughton and Josh Davis. Mark Heard was honorary best man (serving overseas). A reception was held at The Columns at Six Penny Farm. The couple’s bridal trip was to Croatia. They will live in Columbia, S.C. The bride received a Bachelor of Arts degree in psychology from James Madison University and a master’s degree in public health from the University of South Carolina. She is employed as assistant director of Healthy Carolina Initiatives at the University of South Carolina. The groom received a Certificate of Achievement and Associate of Arts in culinary arts from Maui Community College, an Associate in Arts and Sciences degree from Blue Ridge Community College, Wyers Cave, Va., and a Bachelor of Science degree in marine science from the University of South Carolina. Wilt is employed as a manager at Ruth’s Chris Steak House in Columbia, S.C.